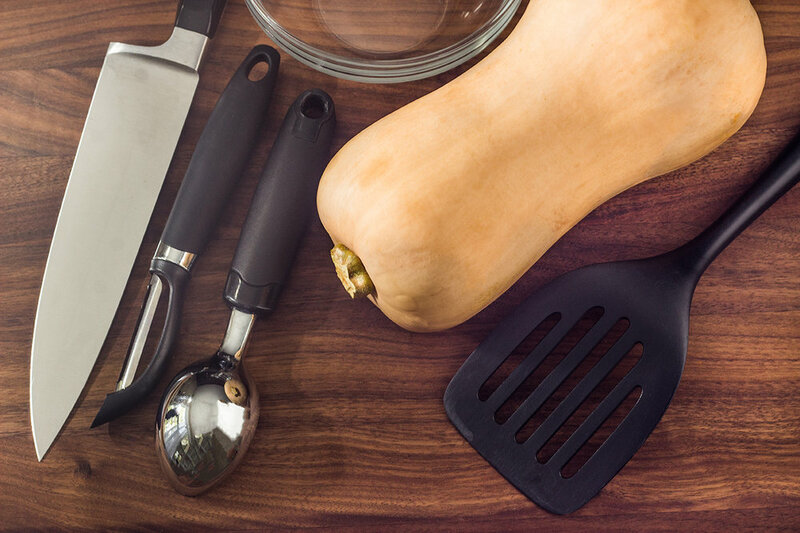 Butternut squash is the sweeter of all of the winter squashes. It is wonderfully versatile vegetable in that it can be baked, braised, mashed, roast, steam and even as a tempura-fry. And it is really is easy to cook. Yes, it is a vegetable but its sweetness also lends it to being served as a dessert. 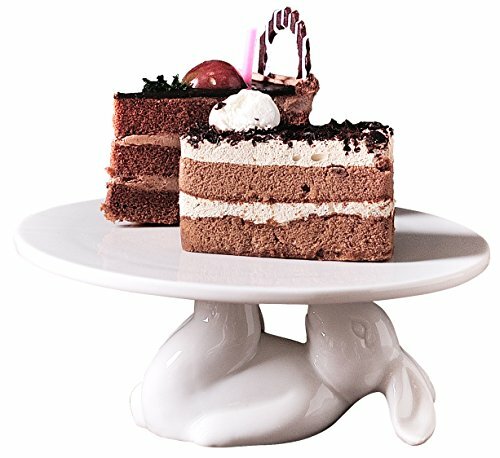 Side dish or dessert? Call it what you may, this spiced butternut squash delivers flavors for both with its brown sugar, nutmeg, cinnamon and ginger. A shot of bourbon bumps up the flavor without the mood altering effect. Then top the spiced butternut squash with crème fraîche for a cool, mildly sour taste. A butternut squash is really hard. You need a very sharp kitchen knife. One way to ease the task is to place the butternut squash in the microwave for five minutes. Careful when you take it out; it is very, very hot; and you will need to put on an oven mitt. 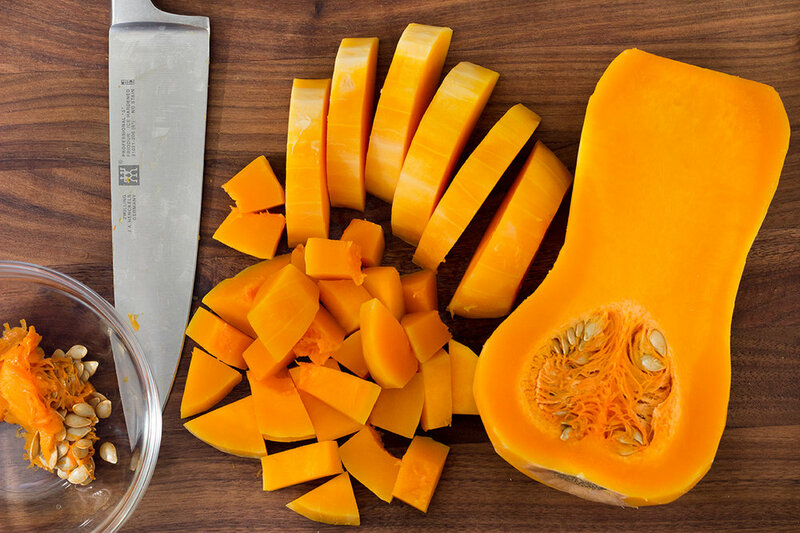 Remove the squash from the microwave and allow to cool enough to handle. Using a pairing knife, strip the skin. Cut across the top and the bottom. Then starting at the top, cut down through the center to get two halves. Remove the seeds and strings with a pointed ice cream scooper or something similar. Turn the squash flat side down. Cut lengthwise, then cut across. 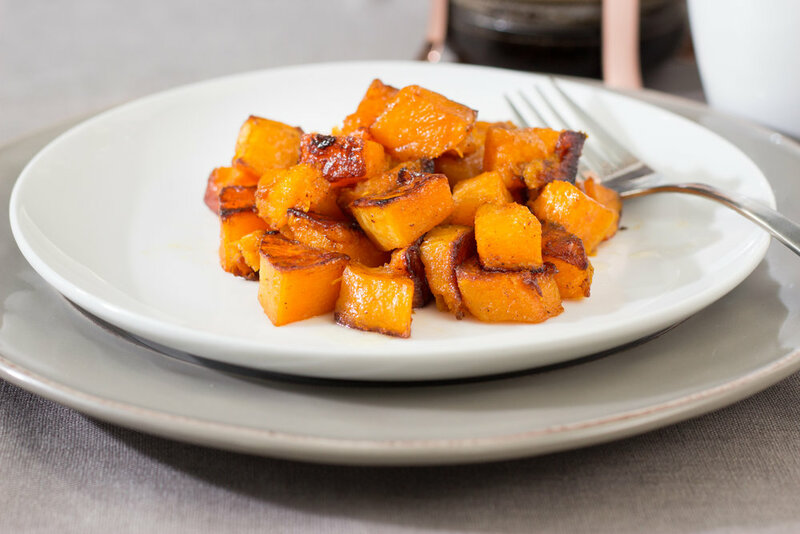 Spice up the butternut squash with light brown sugar, nutmeg, ginger, cinnamon and salt. Pour melted butter over the butternut squash and gently mix. Add brown sugar, nutmeg, cinnamon, ginger and salt. Mix. Using two baking sheets, spread half of the mixture on each tray. If you try to crowd all of the mixture on one tray, you will end up with mush. At which point, you might as well serve mashed butternut squash. If you have a regular oven (versus a convection oven), place one tray on the top rack of the oven, the second tray on the middle tray. Bake 20 minutes. 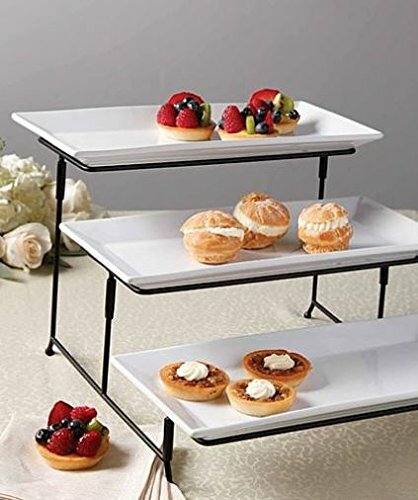 Turn and switch the trays: the middle rack to the top rack, top tray to middle tray. Bake another 20 minutes. Remove from oven and pour into a large bowl. Pour bourbon over butternut squash and gently mix. Serve warm with a dollop of crème fraîche. For this recipe, I had chopped the squash into 1/2" squares. If you prefer larger squares, try 1" x 1-1/2" but reduce the oven heat to 400 degrees F, bake 40-50 minutes. If your regular oven is wide enough to hold both trays on one rack, then do so. But I strongly suggest switching positions to help ensure even cooking. Not familiar with crème fraîche? Sour cream has a fat content of about 20% and may include ingredients like gelatin, rennin, and vegetable enzymes to stabilize it and make it thicker. Crème fraîche has a fat content of about 30% and does not contain any added thickeners. Crème fraîche is thicker, has a richer flavor, and is less tangy than sour cream. Choosing between the two all depends on how you plan to use it. Because sour cream has less fat but more protein, simmering or boiling it will result in curdling, so use crème fraîche in sauces or soups instead (unless you just stir sour cream into something once it's cooked and off the heat). If using in a salad or as a topping, they're pretty much interchangeable and the choice is yours — some people like the tanginess of sour cream, while others like the richness of crème fraîche."